The springerle is an anise-flavored, eggshell-white cookie that is said to have originated from German-speaking parts of Europe. 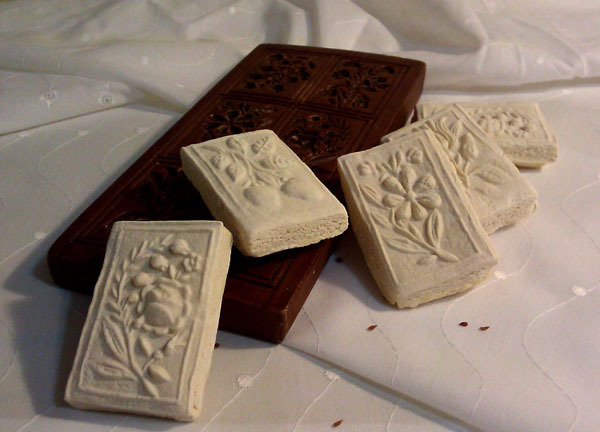 Typically baked for the holidays, this cookie is best known for its beautiful embossed designs. I have many fond memories of Christmasses spent with family, the adults relishing the springerles my mother had baked while the kids nibbled at less exotic treats. We kids all considered the springerle to be a stuffy, grownup cookie. “An acquired taste,” my mother would say. I remember how at these holiday gatherings the adult conversation would always turn to a debate over the best way to eat the springerles. Some would claim that they are best when they’re less than a week old and still soft. Others would swear that you should never eat them until at least two weeks had passed, until they are rock hard and require dipping in tea or soaking in rum in order to eat them without breaking a tooth. I didn’t care for them as a child, but the first time I tried one as an adult, I was hooked. Anyone who loves the flavor of licorice will love this cookie too. Note: Some traditional springerle recipes call for a leavening agent, and commercial bakers are said to use ammonium bicarbonate to ensure the cookies rise significantly and gain their signature foot or base. My family has never used leavening in our springerle recipe, and they have always turned out just fine. 1. 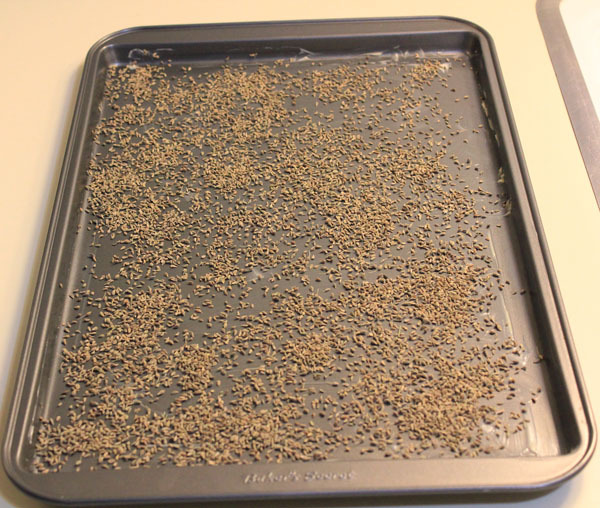 Grease a cookie sheet and sprinkle with the anise seeds. Set aside. 2. Arrange a glass mixing bowl over a saucepan of boiling water. 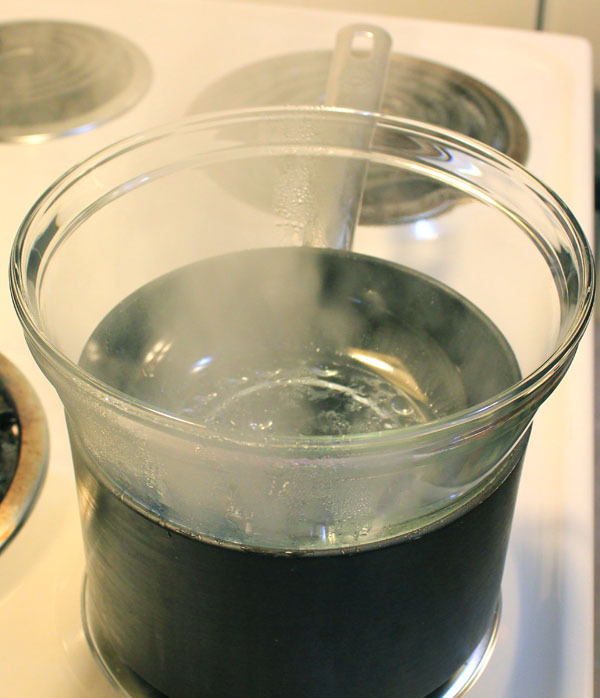 Once the water begins to steam, remove the saucepan and mixing bowl from the heat. Beat eggs and sugar in the bowl with an electic mixer on high speed until the mixture thickens—about 4 minutes. 3. Remove the bowl from the pan of water. Add anise and vanilla extracts, and continue to beat on high speed for an additional 2 minutes. 4. Sift flour onto egg mixture and gently fold it in. 5. With lightly floured hands, shape the dough into a ball. 6. 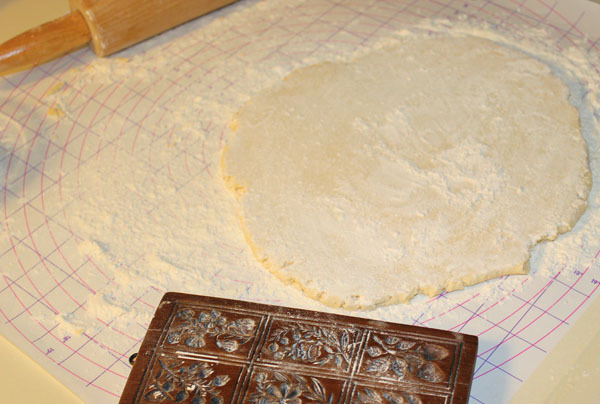 On a floured surface, roll dough to ½-inch thickness. 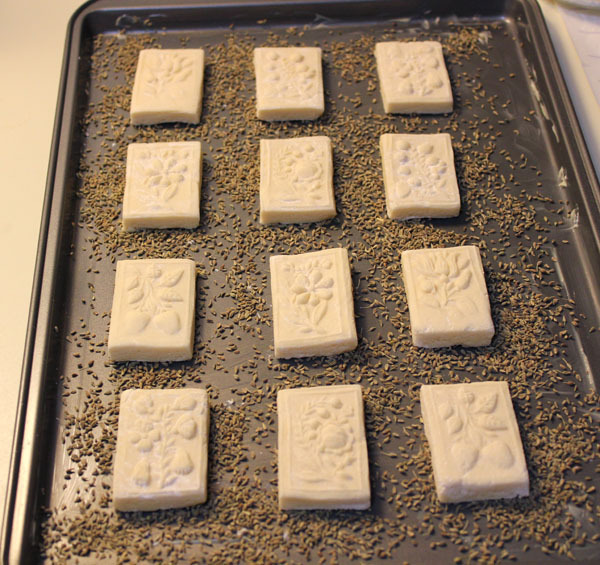 Dust the dough and the wooden mold with flour. Press the mold firmly into the dough and lift off carefully. Cut the cookies apart, cleaning the knife between cuts. Brush any excess flour from the cookies. Place cookies 1 inch apart on prepared baking sheet. 7. Leave out to dry uncovered at room temperature for 15 to 24 hours. Don’t skip this step. 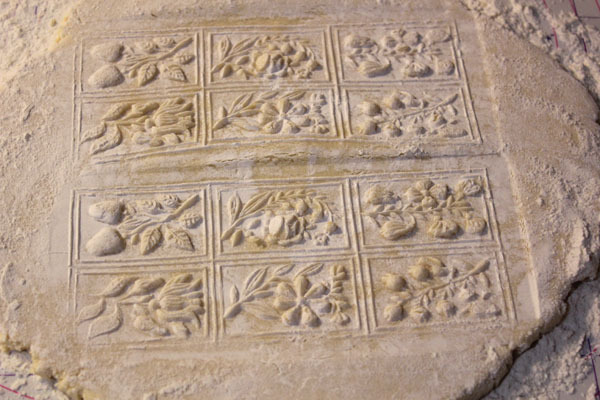 Sufficient drying ensures that they will lose none of their detailed design in baking. 8. Preheat oven to 350 degrees. Bake cookies for 10 to 12 minutes or until bottoms turn a light brown. 9. Store cookies with the leftover toasted anise in an air-tight container. The springerle mold pictured in this article is from House on the Hill. I have used it for several years, and I love it. It is so beautifully detailed that I display it on my kitchen wall year round. 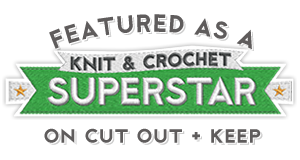 Categories: Uncategorized | Tags: anise seeds, Christmas, crafting, crafts, dessert, diy, food, holidays, home, springerle recipe | Permalink. This year at a local antique store, I happened upon a beautiful wooden rolling pin decorated with shapes and bought it to decorate my kitchen. I hadn’t given much thought to what it was for. As Christmas approached, I remembered the gift of cookies I received from you last year and realized, duh, that’s what it’s for. I researched recipes and made two batches. They taste yummy, but lost a lot of their beautiful designs since I used baking powder as per the recipe from the internet. Thanks to you, I can have another go at it and hopefully this time they’ll be perfect. Thanks and love your blog! Hi Lois! I’m so excited to hear about your good fortune at the antique store. Aren’t those molds lovely? Please let me know how your second go at the springerles turns out and feel free to contact me with any questions about the recipe if you need to. Thanks for the love! And a very merry Christmas to you! Thank you so much for your step by step photos. I’ve always had a fascination with these cookies and the molds. I’ll have to bookmark your post do I can try them. Where do you think I could find a mold? Thanks for your post and recipe! Hi Allison! I’m so glad you enjoyed this post. My springerle mold is from House on the Hill. They have a fantastic selection. Please let me know if you try this recipe. I’d love to hear how they turn out. Thanks again! Thank you, Jennifer…I will! And, thanks for the source too. I’ll take a look at that today!